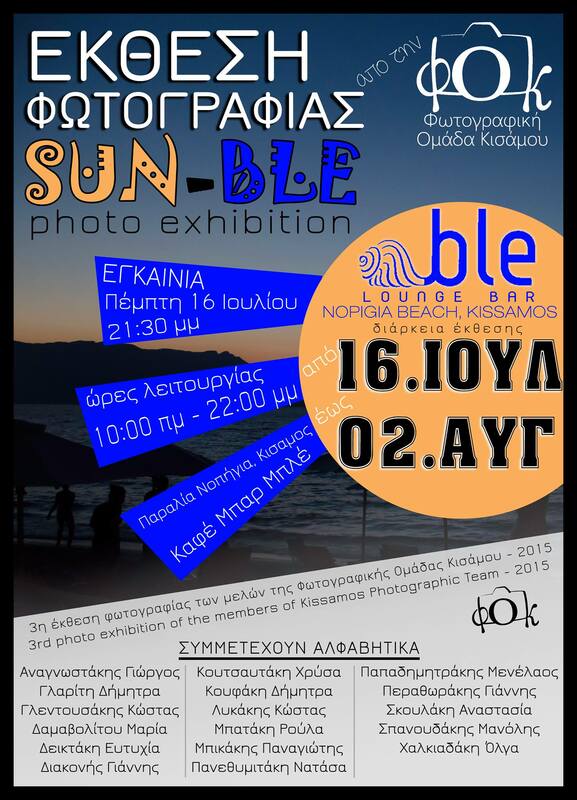 Photo exhibition ‘SUN – BLE’ of the Kissamos Photographic Team to promote the beauty of the area. Daily from 10.00 am 22.00 pm until August 2. At the Lounge Bar BLE, Nopigia Beach. Enjoy the exhibition plus a nice coffee or any other drink and a swim if you like at this gorgeous place by the seaside! Was there at the opening yesterday evening.